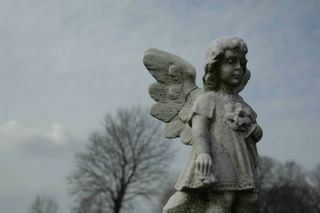 After class, I was a few photos short, so I drove down Dixie Dr. to a huge cemetery to complete the project. I figured I'd get a few more trite and cliche headstone shots, but what I came across was pure sorrow... I almost felt guilty taking the pictures, but I kept telling myself I was beautifying and preserving the memorials.